Saturday, 27 May, former Senator Turneb Delpé, Coordinator of the “Mouvement Patriotique Populaire Dessalinien” (MOPOD) died in a hospital in New York after a long illness, confirmed members of his family. 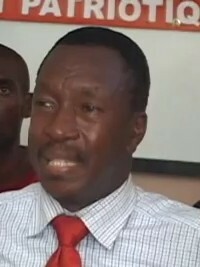 Turneb Delpé, a militant of all the struggles to allow the Haitian people to live democracy, made themselves known within the Communist Party of Haiti (PCH) by militating against the exactions of the Duvalier regime during which he underwent 43 interrogations by various police and political authorities. Known as the promoter of the “National Reconciliation”, he unfortunately did not see his dream fulfilled during his lifetime. “Turneb Delpé, the apostle of the national dialogue, died. His departure will leave a great vacuum in the political landscape. My sympathies with his family,” said the Delmas Deputy Gary Bodeau. Now that he has gone some truth can be revealed. Terneb Delpe murdered his brother, many years ago, and his so-called oppressors covered up for him. It was after Duvalier’s departure. Turneb and his brother were in a locked room. His borther was murdered. There was no one else in the house, other than his mother. The then Chief of Police covered for Turneb Delpe. Behind a mountain exists another mountain. I was with the embassy, when this happened, and can well remember the facts. ← Pourquoi, ce gouvernement a t-il refusé d’anticiper les agitations sociales prévisibles? The Chief was Colonel Henri Robert Augustin ex chief of security for Michele Duvalier..